DISTRONIC PLUS® is an active cruise control system that helps you maintain a set speed, but also lets you set a distance interval between you and the car ahead. Using radar, it monitors the distance between you and straight-ahead cars, allowing you to more easily move with the flow of traffic than what’s possible with your average single-speed cruise control systems. Most new Mercedes-Benz vehicles are available with DISTRONIC PLUS®. Read on to learn more about how it works! The controls for the DISTRONIC PLUS® system can be found on a lever that’s attached to the steering column. Move the lever up or down to adjust your cruise speed. Moving the lever up increases your cruise speed by one mile per hour while moving the lever down decreases the speed. Pressing the lever harder adjusts the cruise speed by five miles per hour. Push the lever away from you or apply the brakes to cancel your cruise speed setting. Pull the lever toward you to resume the last speed you set. You can use the knob on the end of the lever to adjust the following distance between you and the vehicle ahead. Check the distance on the central screen. DISTRONIC PLUS® will bring your vehicle to a stop if traffic lulls to a stop. Gently push the gas pedal or pull the lever toward you to resume if the stop lasts longer than three seconds. Note: DISTRONIC PLUS® should only be used on highways and isn’t intended to serve as the driver’s eyes and ears. You should be aware of your surroundings at all times, so you can intervene if necessary. What is DISTRONIC PLUS® with Steering Assist? DISTRONIC PLUS® with Steering Assist monitors lane markers and other vehicles to help you stay in your lane and checks to ensure your hands are always on the steering wheel. The system can also make slight steering adjustments to help keep the vehicle centered during cornering and watches traffic in the left lane to prevent vehicles overtaking from the right. Whether you’re commuting from Westport to Norwalk or heading out on a weekend road-trip, you’ll have the peace of mind that comes with this technology. Depending on the vehicle you select, you’ll get DISTRONIC®, DISTRONIC PLUS®, or DISTRONIC PLUS® with Steering Assist. 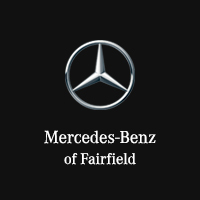 Contact us at Mercedes-Benz of Fairfield for more information about a specific model or stop by our showroom near Weston. While you’re here, ask about other Mercedes-Benz safety systems, such as ATTENTION ASSIST®.